On November 13, more than 250 volunteers from the travel and tourism industry gathered for a weekend full of painting, cleaning, planting and performing other fix-up duties along the L.A. waterfront. 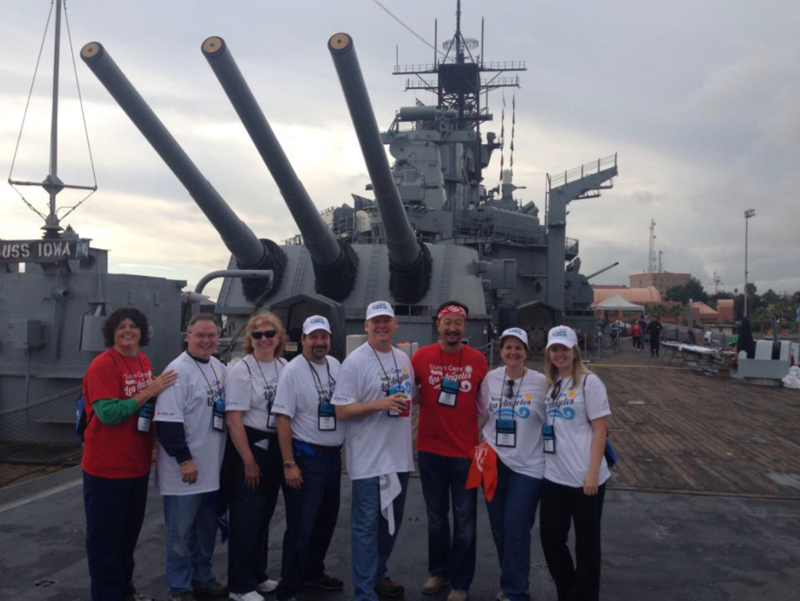 Trip Mate team members were proud to be among those volunteers who spent the weekend working to improve the U.S. battleship Iowa, merchant marine ship Lane Victory, the White Point Nature Preserve and the Banning Museum, along with sponsoring the weekend long event. Tourism Cares works to preserve and enhance the travel experience for future generations. They channel their philanthropic passion and commitment of the travel industry to restore historic sites, provide grants and scholarships to college students interested in the tourism industry, and partner with groups globally to help them develop similar projects. In the past, Tourism Cares has worked on sites in New Orleans, New York City, Peru, Sacramento, Pensacola, Washington, D.C. and other places, both domestically and globally. Brad Finkle, President of Trip Mate and Chairman of Tourism Cares, feels it is important to give back to the tourism industry. “Just one person can really make a difference when it comes to volunteering and working when together the results are frankly amazing. Tourism Cares is a perfect example of that. It’s great to see everyone coming together to improve these tourist destinations in Los Angeles,” says Finkle.